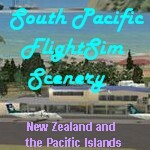 I was about to install some of Lawrie's sceneries for FS9 (from Flightsim.com). Unfortunately, some of the sceneries require the object libraries from the old snowman website which isn't working anymore. My question is thus: Are those object libraries available someplace else? I have searched both flightsim.com and avsim but without success. The old complete Static Objects LIbrary for FS9 is no longer available. Someone else has gathered together a large library of FS9 objects, which i think are most of what was in the old SOL. I have an archived copy of Snowman's complete SOL if you are still interested. It weighs in at 240Mb (zipped). I can send it via DropBox if you wish. Thx but the links lead to FSX libraries? Can those be used in FS9 (if they mostly consists of the old FS9 files)? Should anyone else require a copy, please PM me. Last edited by ZK-LGD on Wed Nov 05, 2014 8:28 am, edited 1 time in total.